Doing things together as a family is a priority for many people, but many forms of family entertainment are expensive. Many typical family entertainment options, like attending a movie or sporting event, have become too expensive for many families’ budgets. But don’t worry, there are still great options to consider for family entertainment at home so you can stay within your budget. Some types of entertainment have become too expensive for a family to attend regularly. For example, the average cost of a movie ticket in 2014 was about $8. If a family of 4 attends a movie and buys another $8 each in concessions, the total cost is over $64 for one night of entertainment! Sporting event tickets are also expensive. For example, an MLB baseball ticket averages nearly $29, and the average cost of an NFL ticket was about $84 in 2014. These costs make some of these activities out of reach for many families. Changes in technology are making home entertainment more attractive for families. If you have DIRECTV service in Dallas, for example, you have access to enhanced NFL game programming. DIRECTV Sunday Ticket lets subscribers watch any NFL game in the country. You also have access to the Red Zone channel. This feature lets a viewer watch every NFL play inside the 20-yard line. Sunday Ticket makes NFL games more exciting for subscribers. 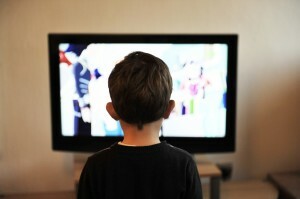 In addition to sporting events, families can watch hundreds of TV channels and movies right in their home. You can access movies that were recently in the theater. The viewer can search for films by title or by genre. All of these features allow a family to enjoy entertainment at home. Subscribing to TV is still not the cheapest option, but it’s still quite a bit cheaper than attending movies at the theatre or going to professional sporting events. Families can also spend time together reading. For small children, reading with parents can be a daily activity, particularly at bedtime. Several websites offer tools to help keep kids interested in reading, as they get older. Book Adventure is a site designed to get children to read. The child can search for books on the site and read the books online. Kids can take a quiz on the book and earn prizes. A family can read selections from a book each week and discuss what they read. Reading is important for kids, and this family activity can help a child perform well in school. Board games: Most families accumulate a closet full of board games over time. Playing a board game together is a great activity. If you haven’t played a game in awhile, this activity can bring back fun memories. Get outside: Playing in the backyard on the swing set, or throwing a football is something the whole family can do. If you have pets, walk your pets with the whole family. Cook together: Cooking channels, website and podcasts have grown in popularity in recent years. Since cooking can be a group activity, try it as a family event. You can use the web or TV shows to find recipes for any type of food. This helps you extend the period of time your family is together for meals. Crafts: Doing craft activities can be inexpensive. Many websites explain how to work on crafts using household items you probably have on hand. Traditions: Establish traditions for your family. Your traditions can be tied to a particular holiday or season of the year. Maybe you bake cookies every December, or take a vacation to a lake house every summer. Developing family traditions can bring your family together. If you use these tips to plan family entertainment at home, you can enjoy family time and stick to your budget. How does your family entertain themselves while sticking to a budget? Do you subscribe to TV at home? What other ways can you think of to save money on family entertainment?